I’m flying EVA Royal Laurel (business class) and the Hello Kitty plane on a regional flight next month which will be pretty exciting as part of my ginormous May trip. This post talks about how I booked the trip. I’ve flown EVA RL and Business before but never managed to write a trip report about the flights, so hopefully I’ll get to it this time. 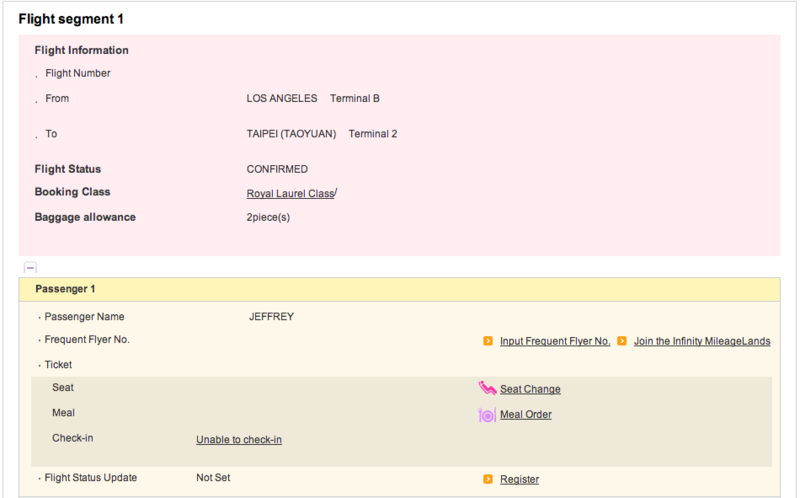 This will also be my first time flying EVA Royal Laurel on a trans-pacific route. There isn’t anything “exciting” but it’s still nice being able to pre-select your meal beforehand. 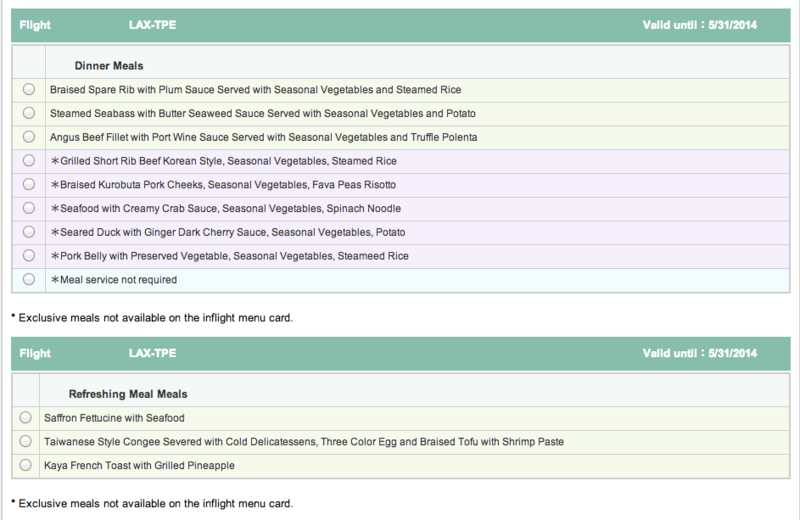 Flights that depart from Taipei get catering from Din Tai Fung, so that’s a nice bonus. Unfortunately it will have to be something I try next time. Unfortunately for me, my internet order was ignored, and I had to settle for something off the menu. The FA said she completely missed that someone had ordered that (that someone was me), so she didn’t bother to get catering to make it.